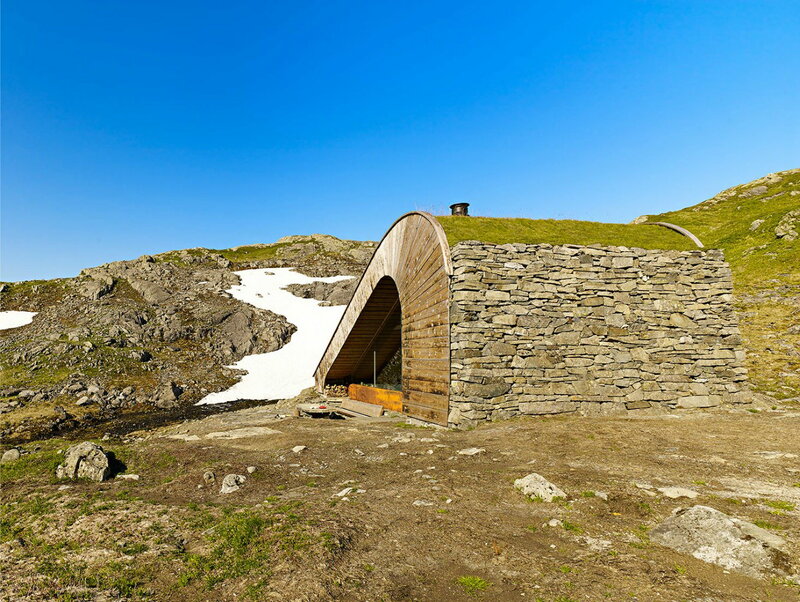 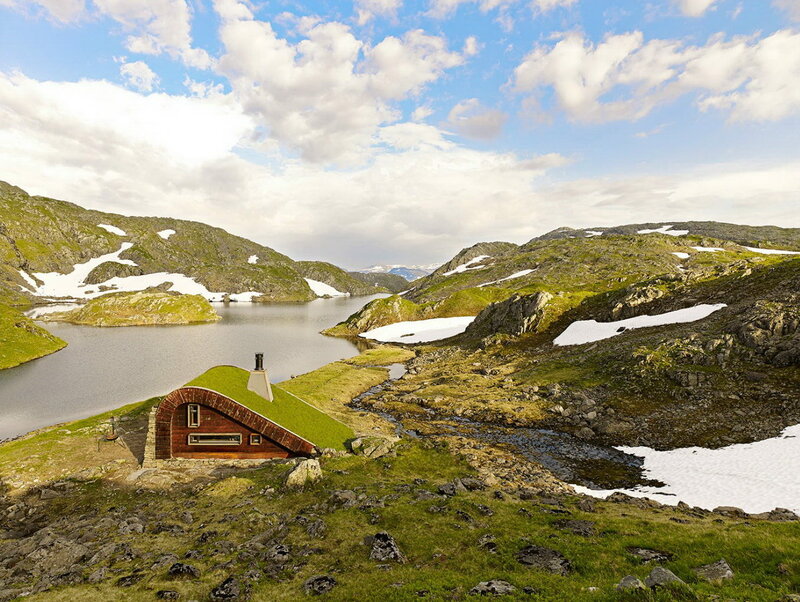 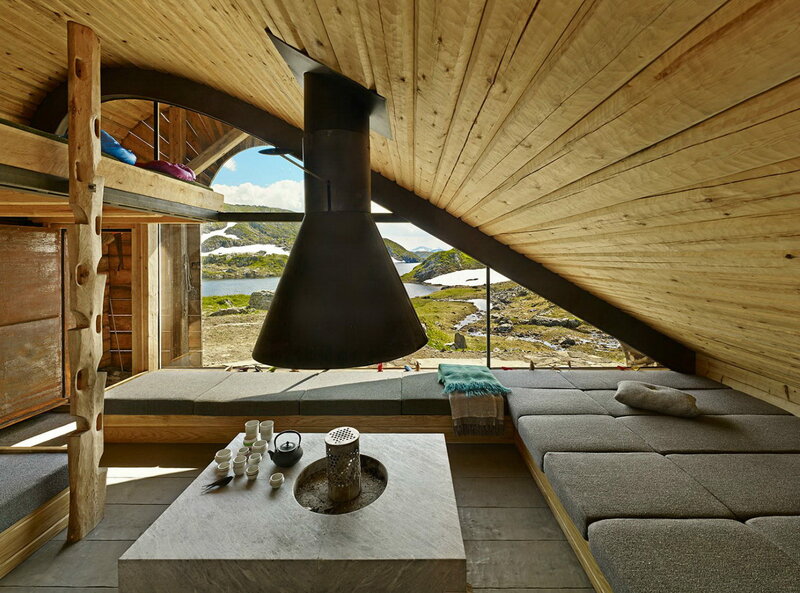 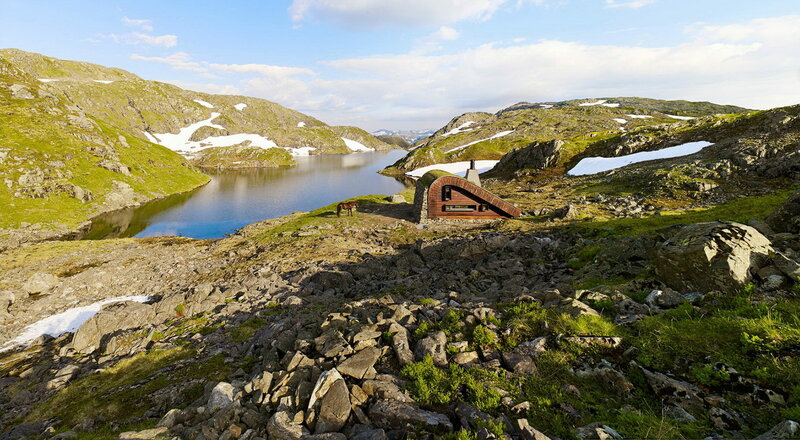 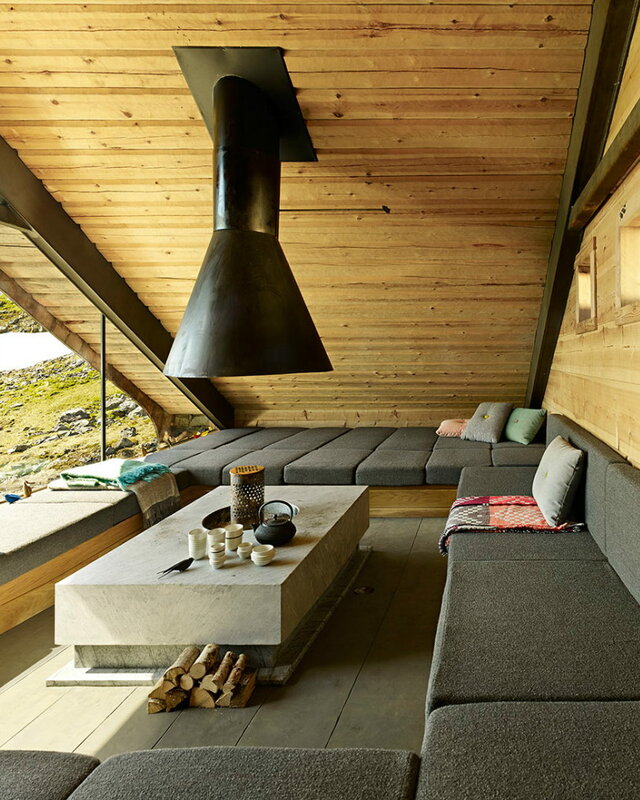 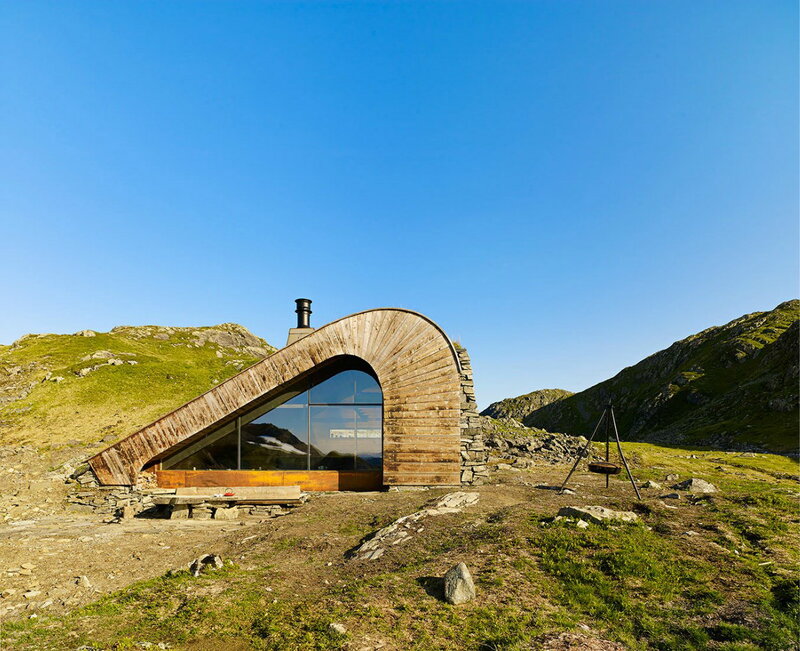 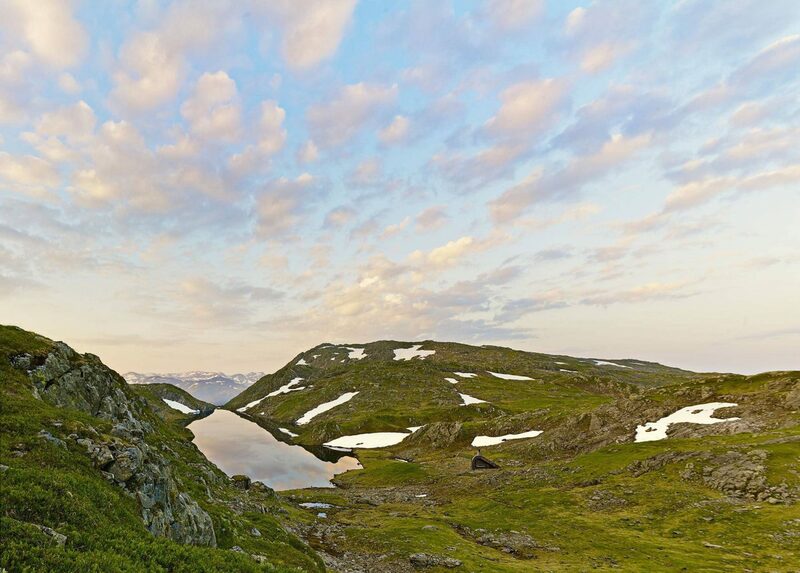 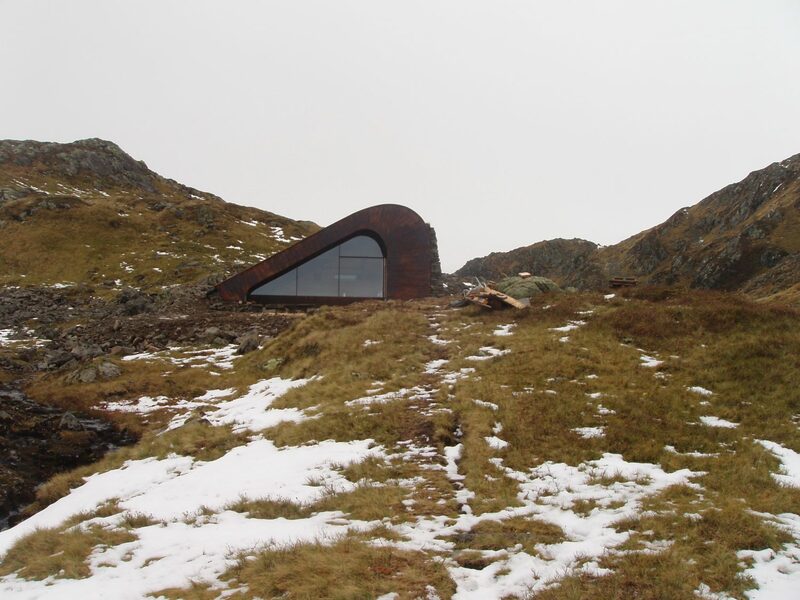 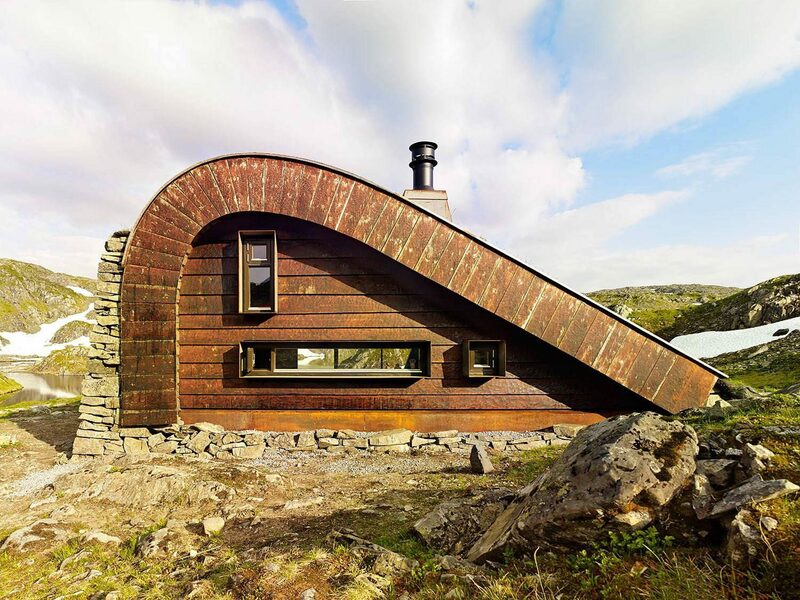 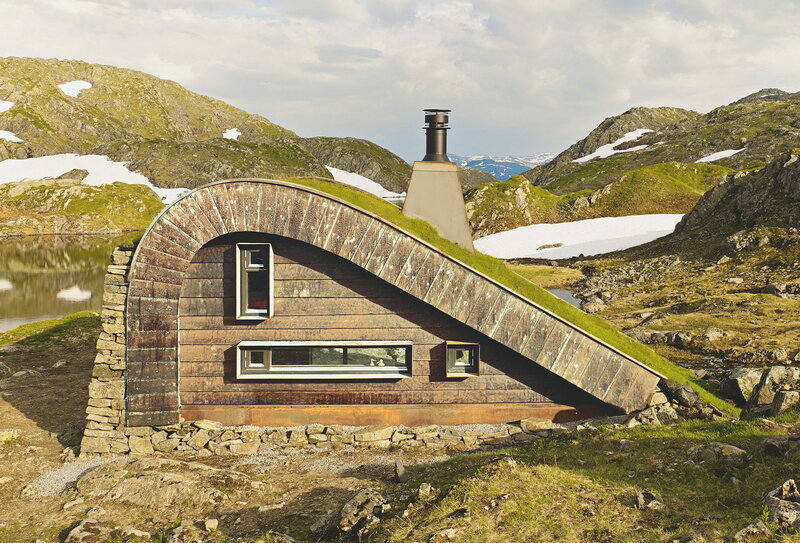 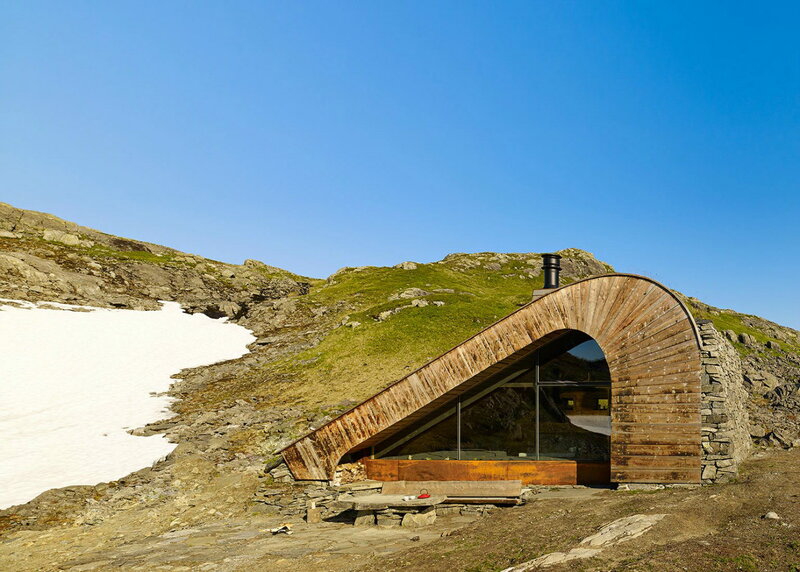 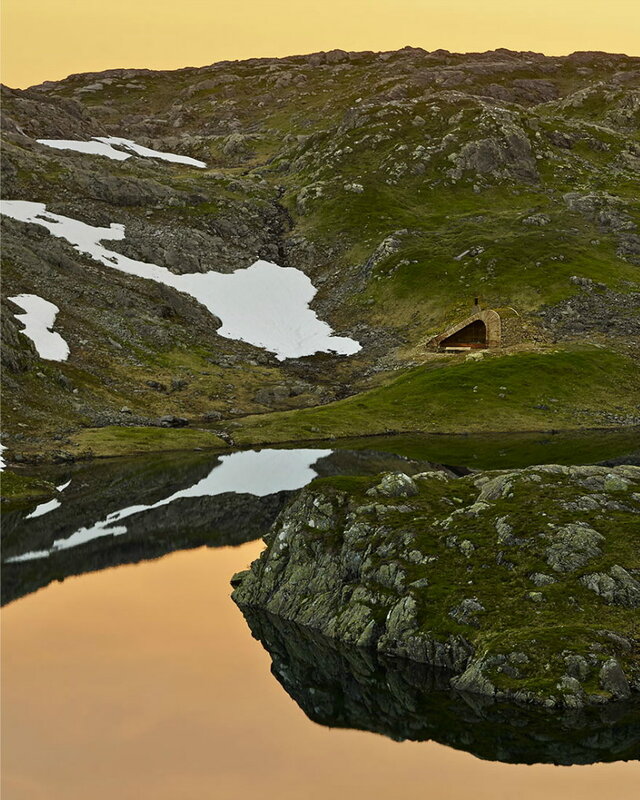 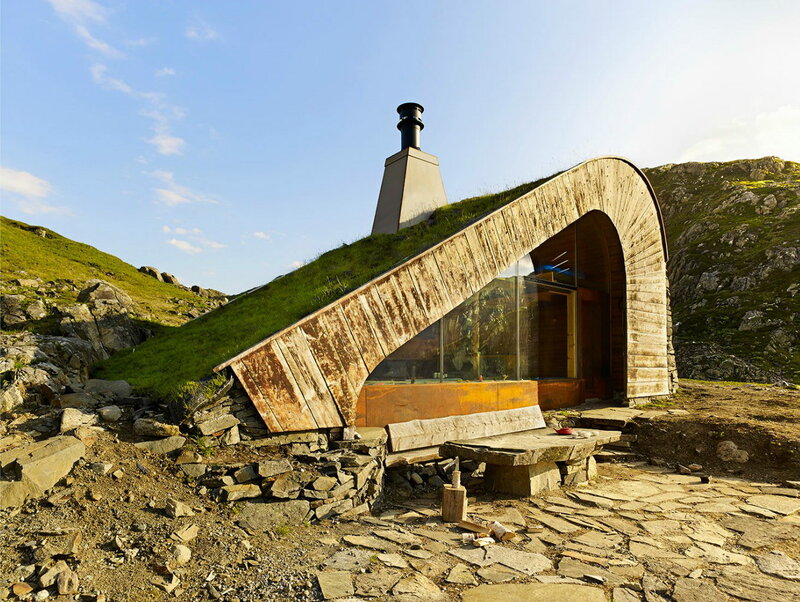 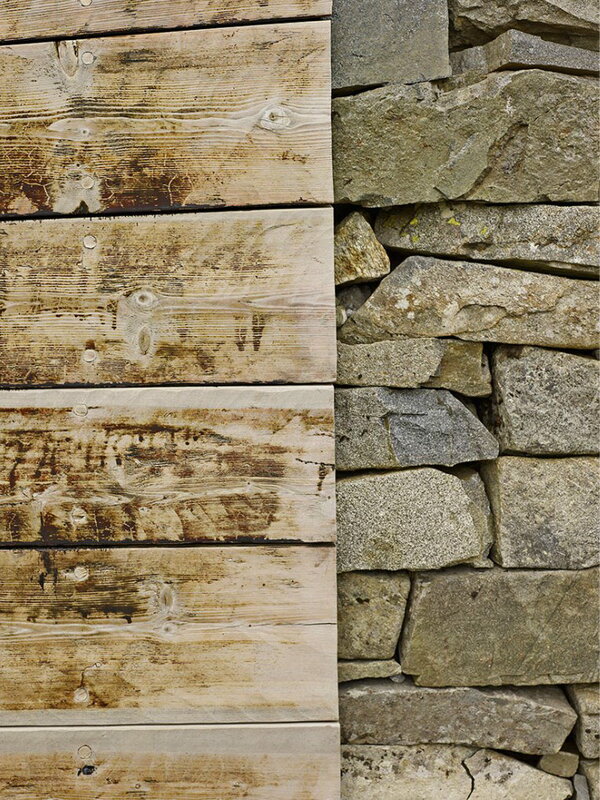 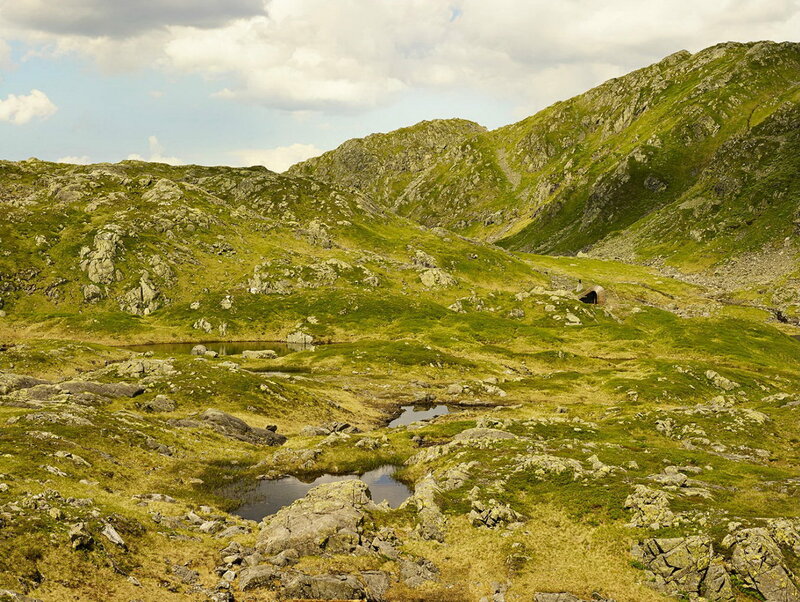 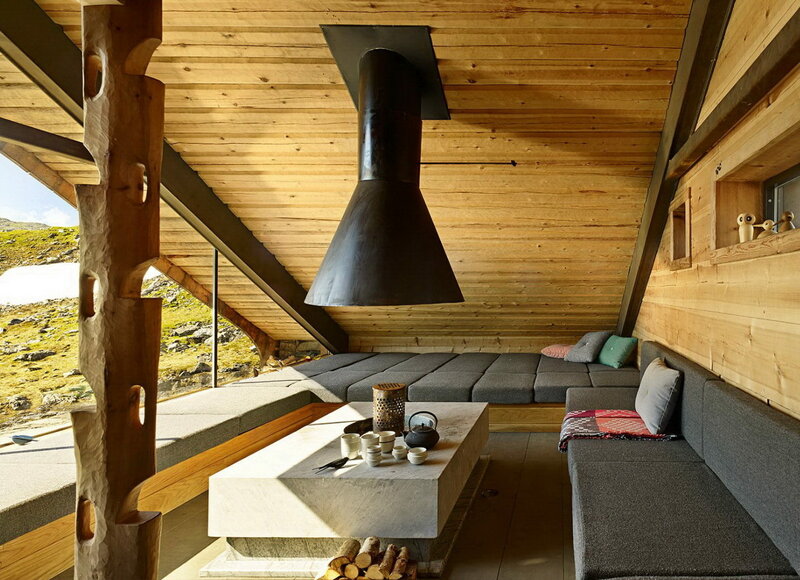 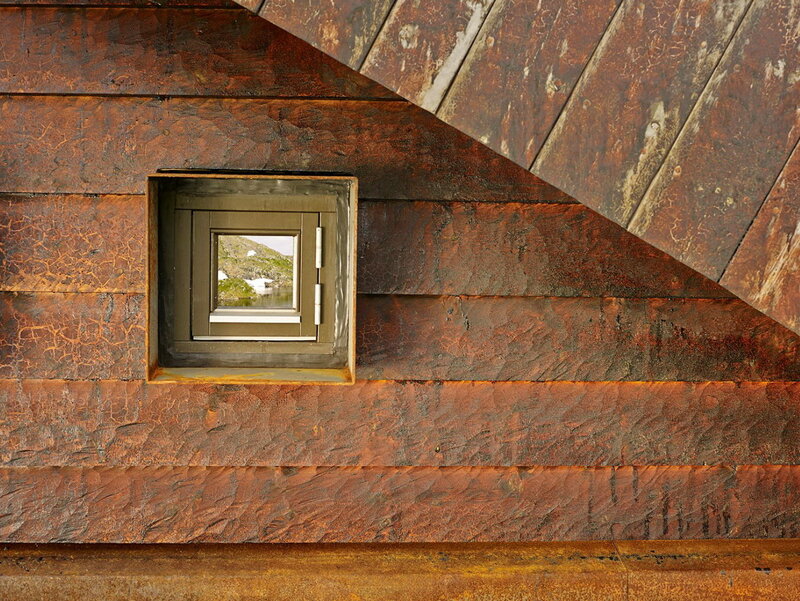 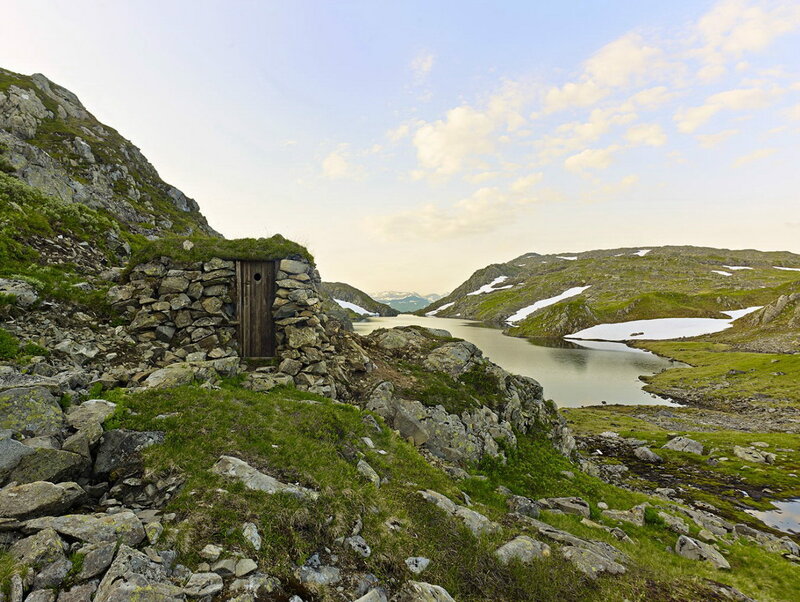 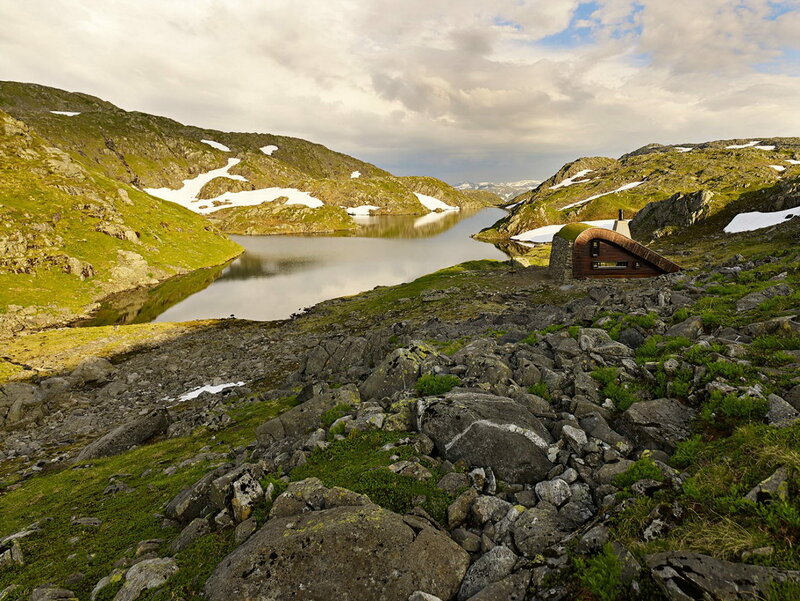 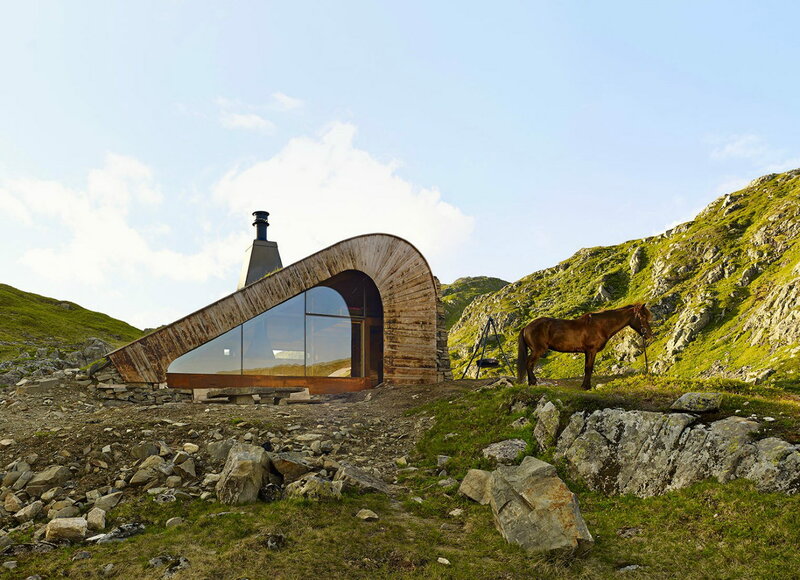 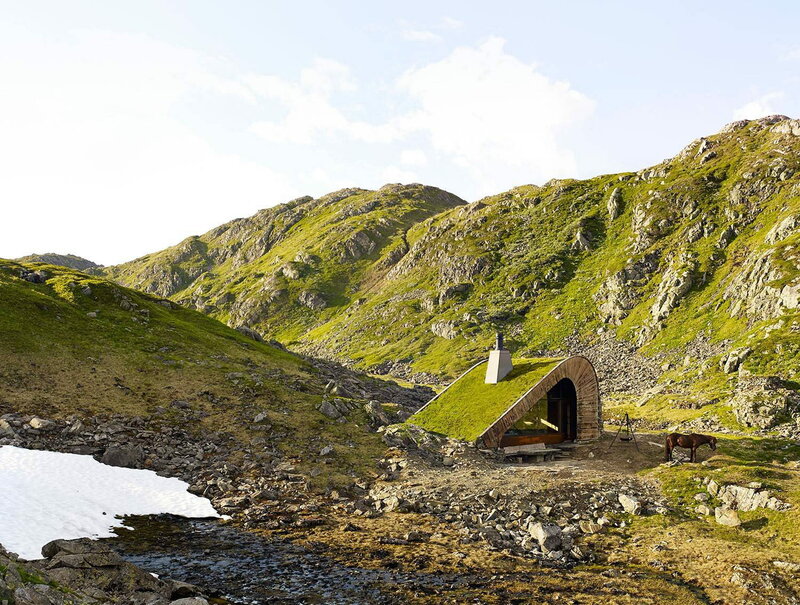 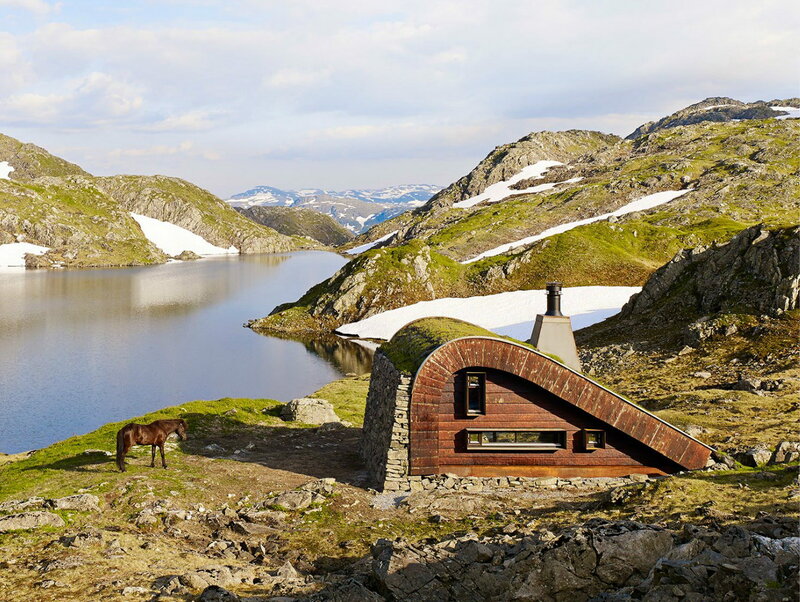 Norway-based architect firm Snøhetta designed a stunning hunting lodge named Bjellandsbu. 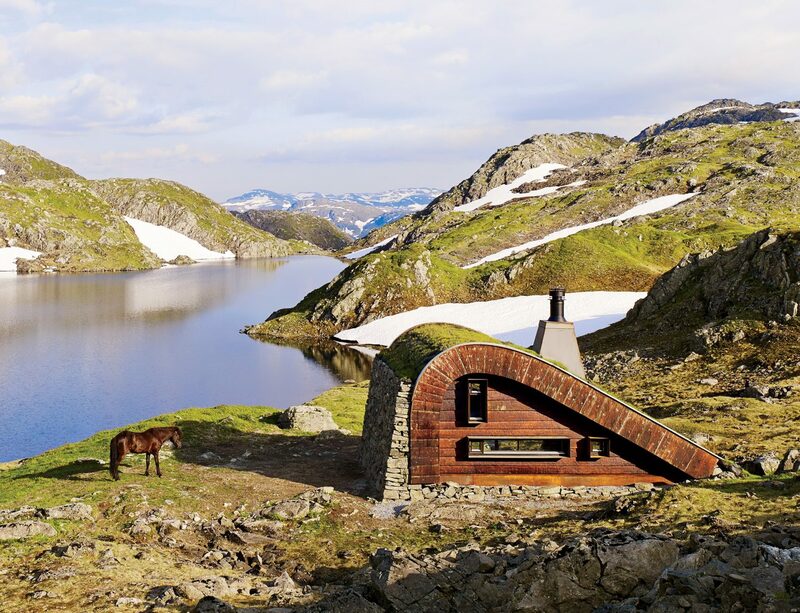 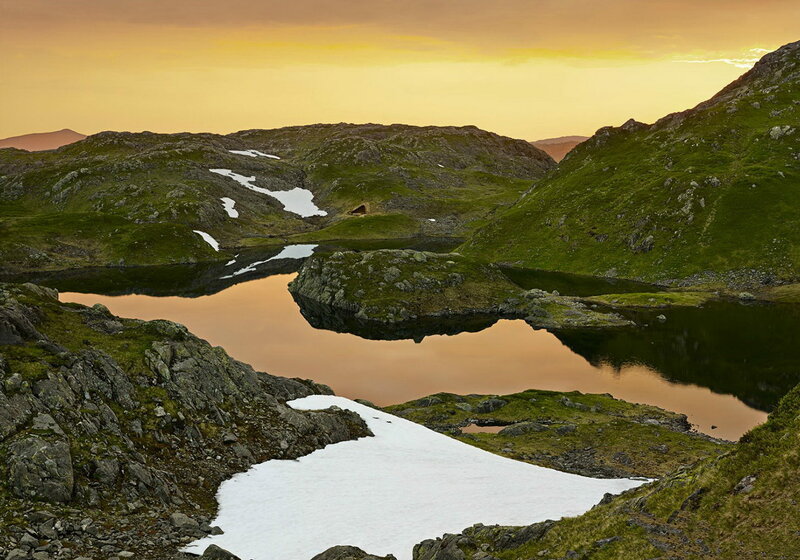 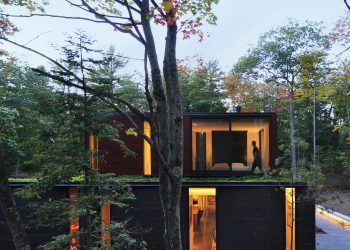 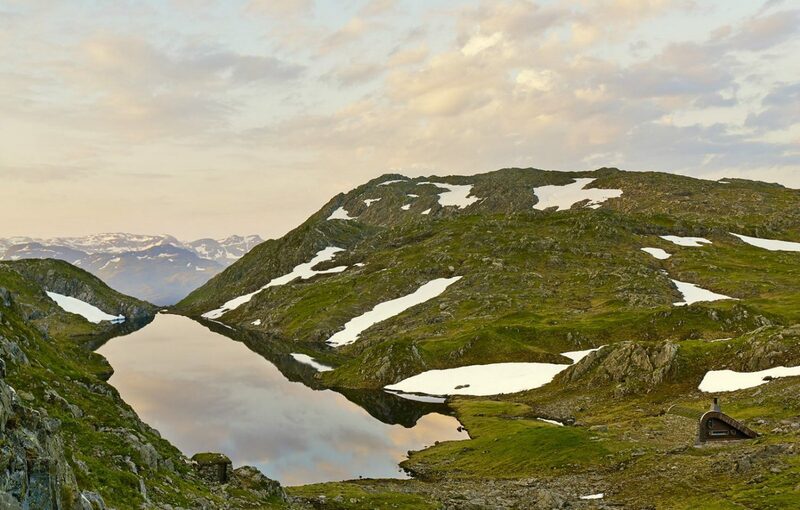 Integrated into landscape beside a lake in the untouched mountain areas close to Åkrafjorden in Norway, the cabin is only accessible by foot or on a horse. 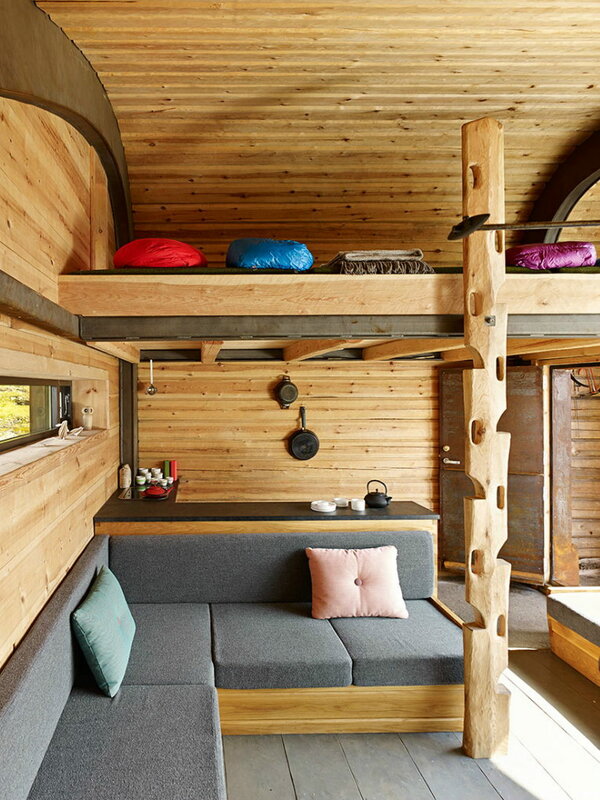 Measuring only 35m² (376ft²), it can accommodate up to 21 people. 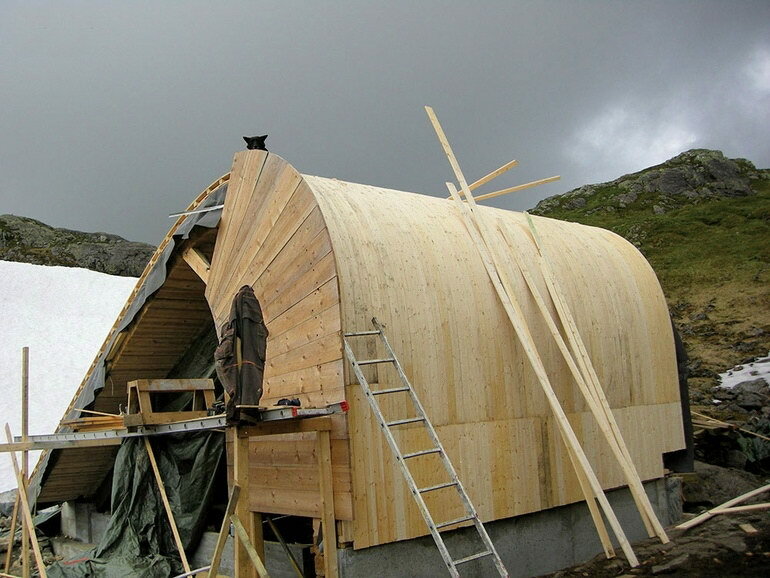 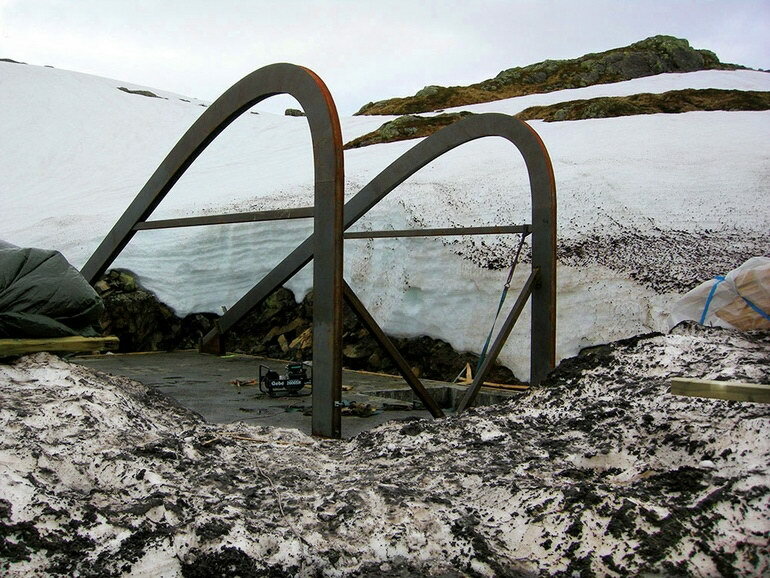 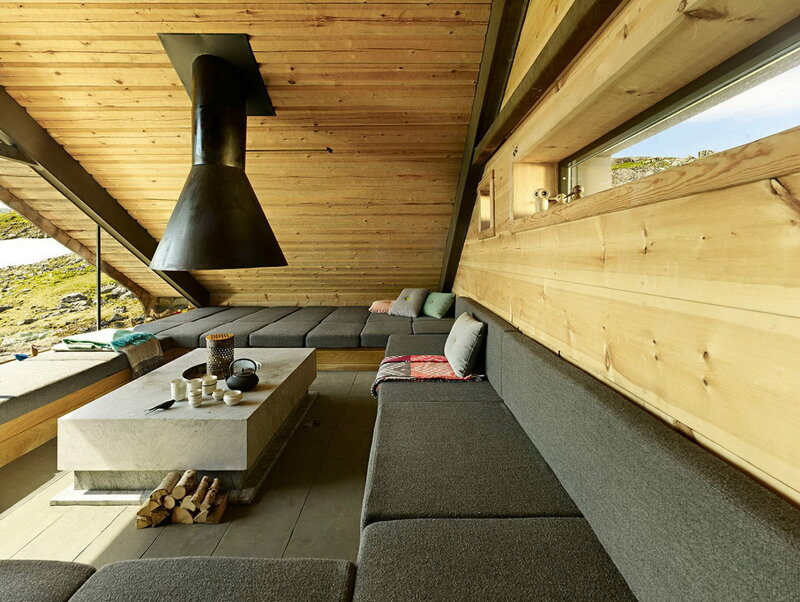 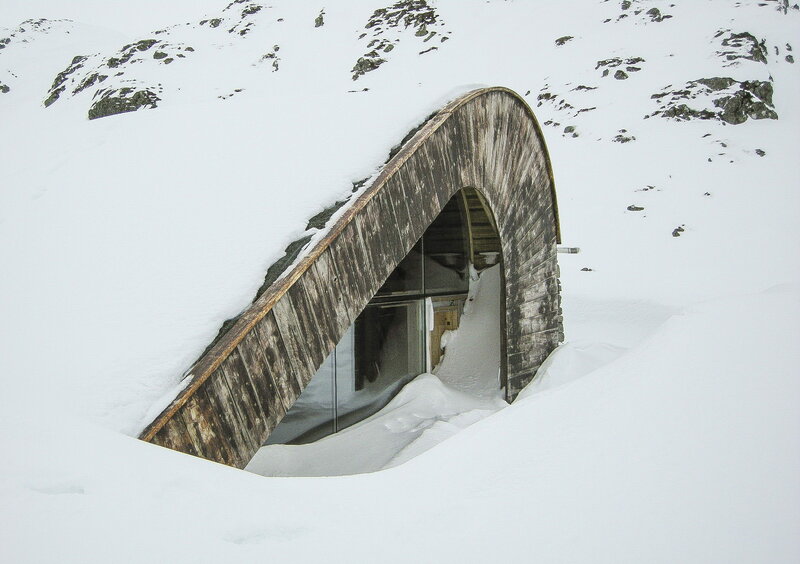 The structure consists of two curved steel beams, connected with a continuous layer of hand cut logs of timber on top – a meeting between modern expression and traditional Norwegian mountain cabins. 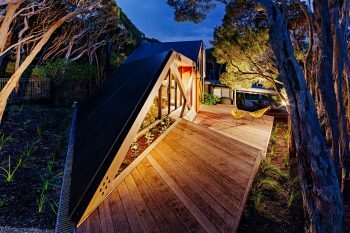 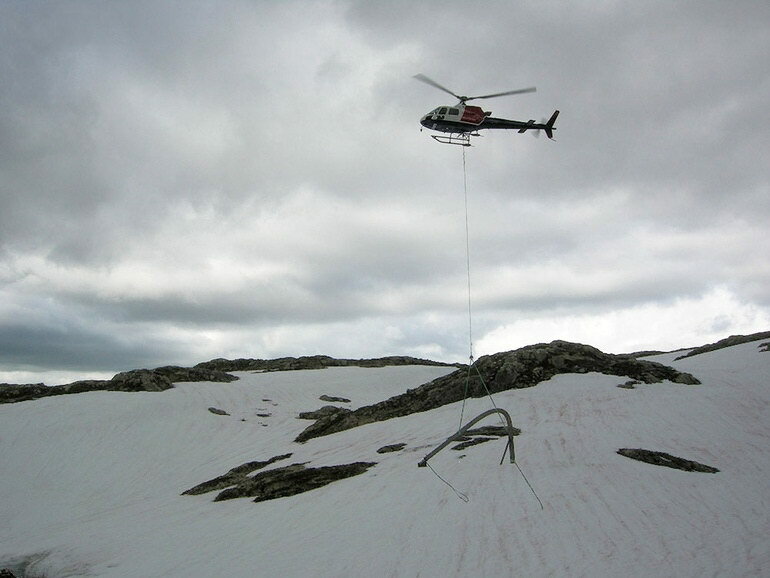 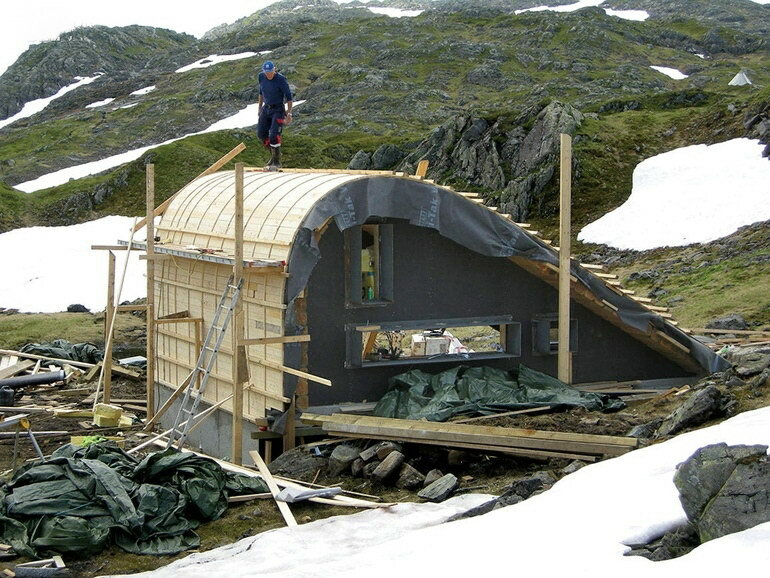 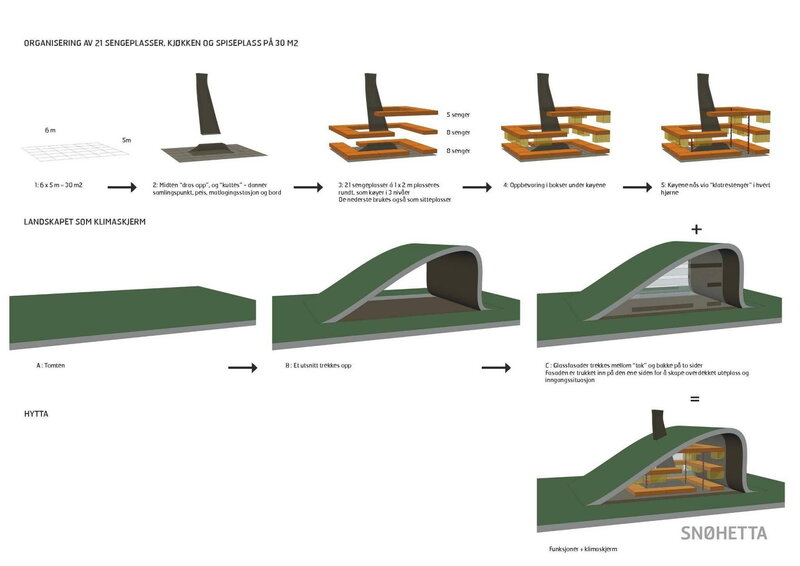 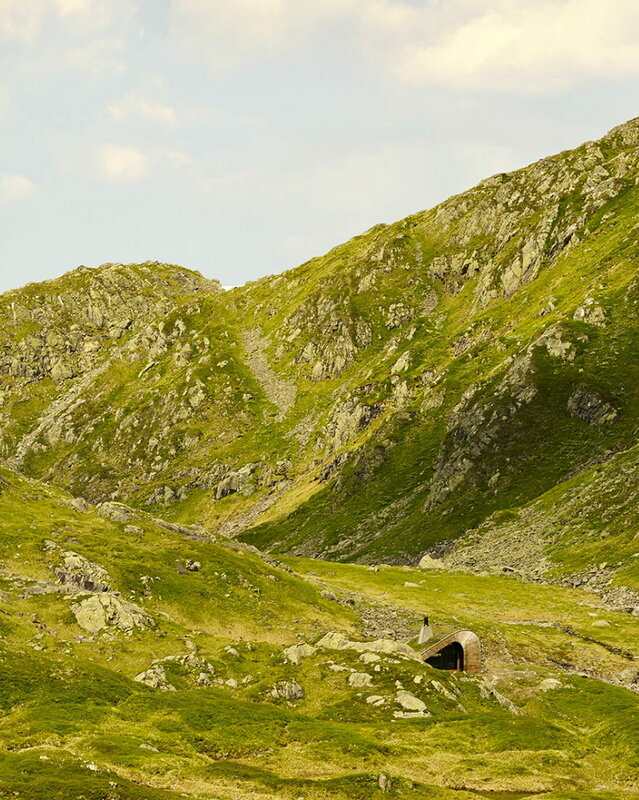 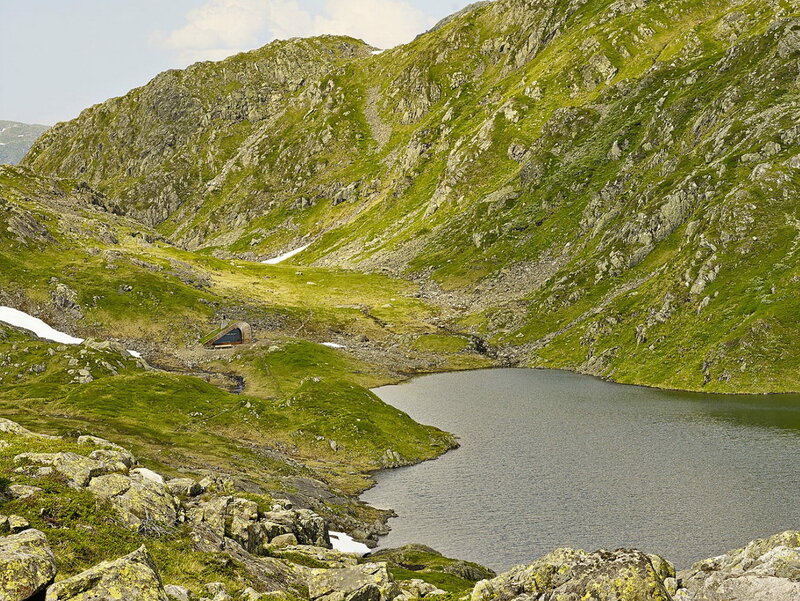 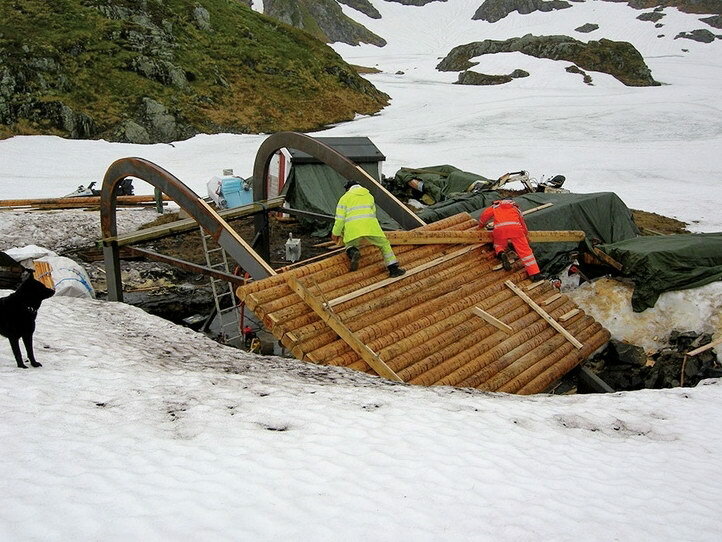 ​Our challenge in this task was designing a mountain hut of maximum 35m2 with facilities for 21 persons. 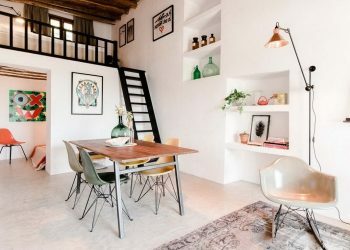 In order to achieve space for a amount of guests in a tiny space, we found inspiration in old traditions: a central fireplace as the gathering point. 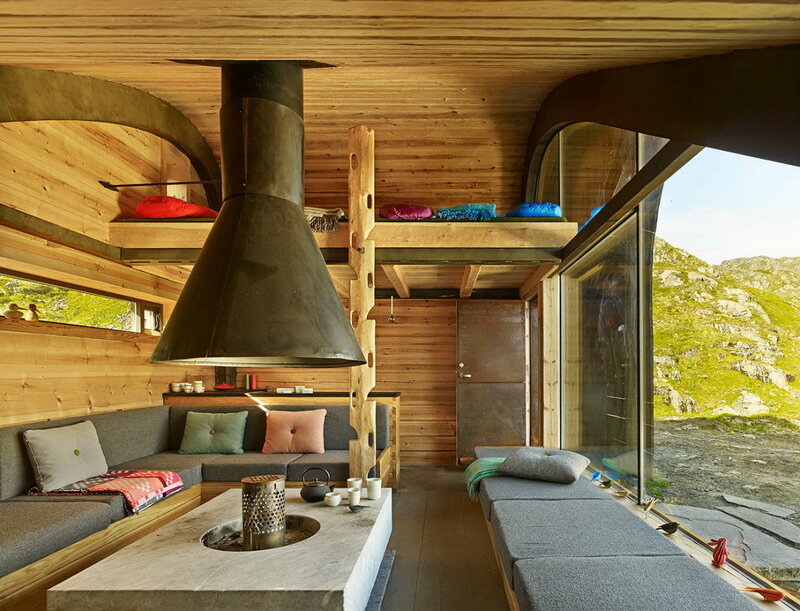 The beds along the walls works as seating in the evening – one furniture for the social, eating, and sleeping. 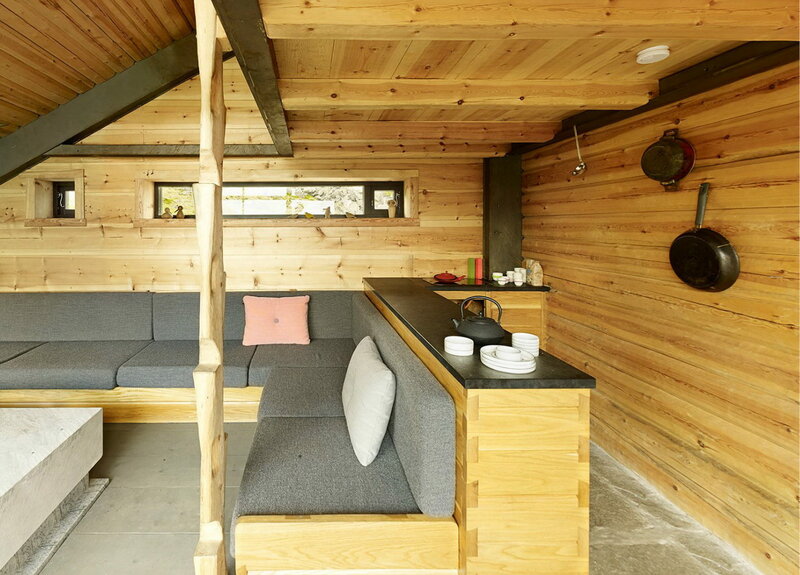 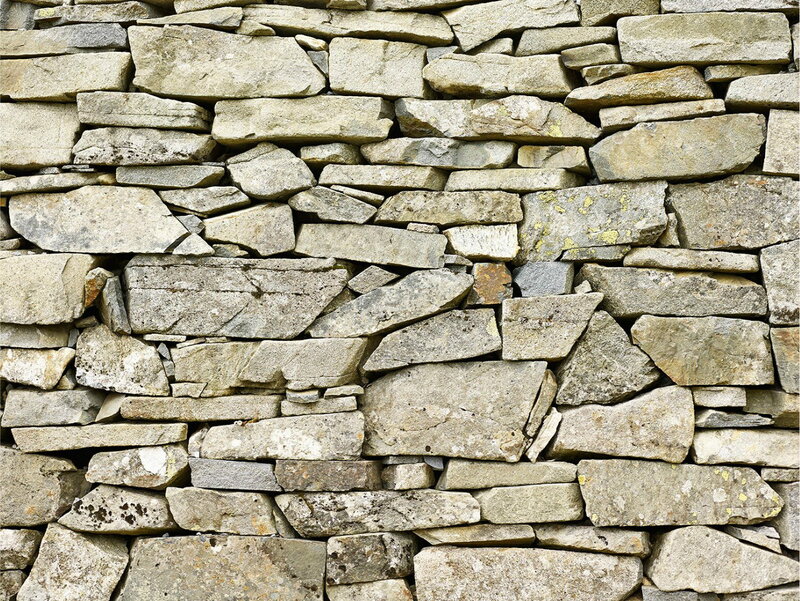 A narrow zone by the entrance has equipment for cooking and storage.